"With ScreenSteps, we were able to send out a course that prepared employees before our in-person training and send out courses for follow-up training. That helped our teams get more value out of the short time we had together during our classroom training." Owen is a change management consultant who was brought on to help RCGP during its transition from a legacy system to a new CRM that managed events and subscriptions. We were migrating from a very old database called Integra. As with any change, there was a great deal of nervousness around leaving the old system. It had been in place for a long time (over 10 years) and it was the core of many people’s jobs, and we were going to be changing that. So, naturally, apprehensions surfaced. On top of that, RCGP has a remote staff with several offices around the United Kingdom. Internally, we have 200 staff users who would be using the CRM. That consists of a mix of membership administrators, event administrators, and faculties administrators. 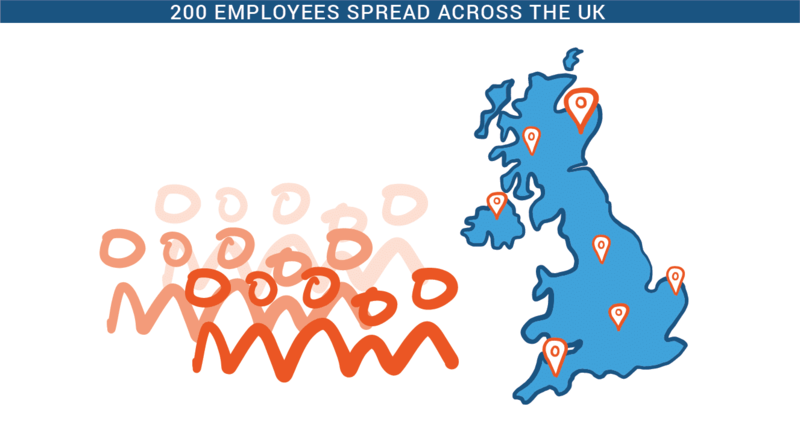 About half of our staff are located around the United Kingdom in small offices. The others are based here in London. So we are quite geographically diverse. The roles are quite diverse. We had seven or eight different teams, each of whom controlled the different parts of the process and for each of whom required a different section of the system, or a different set of instructions to use the system. Owen was brought on to help RCGP successfully manage the change and train employees on how to use the new system for a successful rollout. Owen worked with RCGP to document existing processes and prepared a plan for adapting those procedures to the new system. A team went through and, to use an analogy, took a snapshot of the existing processes so we could determine what would be changing. We examined the number of processes that would be changing, the number of systems changing, whether they supported customers, etc. We also looked at the extent of the change. That analysis worked its way into our overall communications and training plan. The plan included sending out a “Foundations” course to those employees who would be experiencing a lot of change to their existing processes. This course prepared employees for the live training so that time wasn’t wasted on the basics. We created a “Foundations” course, which was a course made in ScreenSteps. This course was sent out one month before our face-to-face training and we required them to complete it. The nice thing about using courses is that we were able to track who had completed the course and who hadn’t so we could send follow-up emails and make sure they took the prerequisite. After the classroom training was completed, Owen sent out fortification courses that reiterated what was discussed during live training. We created a custom training for each of the core areas so that, after we did face-to-face training, employees could go through it again if they wanted to. It was content employees had seen during live training, but since not everyone reacts the same way to classroom training, we give them another opportunity to do training via self-paced training. And of course, employees are only a click away from being able to access all of the knowledge base articles. Owen implemented contextual help so that answers are easy to access. The contextual help shows up as a little bell on the right-hand side of an employee's browser window. Employees love it and they're growing accustomed to using it whenever they have a question. Which is great because our knowledge base really does have a ton of great content in there. The training program was very successful. 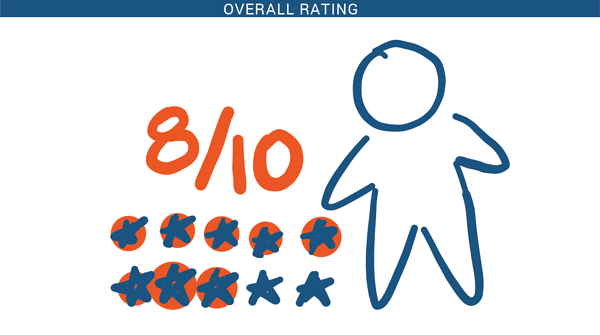 Employees responded to surveys saying they really enjoyed the courses and the overall training (self-paced and in-person) was effective, with an overall rating of 8/10 stars. One thing Owen would like to have changed, however, is getting employees into the ScreenSteps knowledge base more during training. Even though RCGP uses the ScreenSteps Chrome Browser Extension to support its employees, training didn’t include learning how to use it. If there’s one thing that has caused us a bit of pain is people not realizing how much stuff is actually in the ScreenSteps knowledge base. And that’s because, during our initial training, I didn’t get them into the knowledge base near enough. But in subsequent sessions I’ve run, I’ve actually changed that approach completely. I’ve given them basic points, and then I’ll ask, “Where are you going to find this information? How are you going to find it?" Now, I get them to search for an article and get them familiar with navigating around the knowledge base and using the articles. Even in our support responses, we push them to the knowledge base. We tell employees to do a quick search for “Refunds” and they can find what they need. Owen’s training was fantastic, and employees were able to learn a lot. But nobody can remember everything, and Owen learned that if employees don’t practice using the knowledge base during training, support will get a lot of questions after training is over. If there’s one thing he would change, it would be using the knowledge base more during the classroom sessions. The rollout was a success and RCGP is seeing a return on its investment in Salesforce. Members are receiving better service and are having a better experience, and user adoption is high. While Owen wasn’t allowed to provide specific numbers, RCGP is now better equipped to fulfill its mission of encouraging, fostering and maintaining the highest possible standards in general medical practice.